Families suffered "avoidable uncertainty and distress" when a council closed a respite centre, a watchdog has ruled. The Kentish Road centre for adults with learning disabilities was shut by Southampton City Council in 2017, but has since reopened at weekends. A Local Government Ombudsman found families' needs were not properly assessed. The council said it would pay compensation to carers affected. The Kentish Road centre provided respite care for up to 30 people with disabilities and illnesses. It was closed in November 2017 with the Labour-run city council claiming it would save up to £185,000 a year. The Local Government and Social Care Ombudsman has written to eight families prior to releasing its full report. In one letter to the family of a young adult with learning disabilities, seen by the BBC, the ombudsman said there had been "uncertainty and delay" over her support plan. "There was fault in the way the council made decisions about Ms D's future respite care. This caused Ms D [and her carer] avoidable uncertainty and distress." 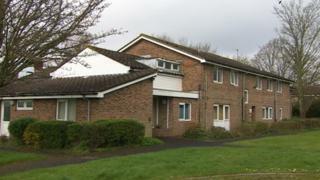 It also said there was a delay in opening another respite centre - Weston Court - before Kentish Road closed. Lisa Stead, who led the campaign against the closure, said she was "happy that someone has acknowledged failings". "It's been dreadfully stressful on top of caring 24-7 and not having the respite breaks we were lawfully entitled to. "Failings should have been identified a long time go - we're still without a cohesive respite service which is what all the families so desperately need." The council said it "recognises that there were issues" with the process. A spokesman said: "We are committed to providing high quality care and support to our social care clients, and the council has commissioned independent reviews ... to make sure we learn lessons from the way this closure was handled." It said it would compensate carers for respite nights they were entitled to.